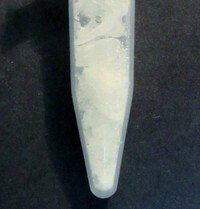 Clear plastic Eppendorf vial containing crystals. It is very important that people submitting samples to this testing program send in between 20 and 200mg of material. See how to send in a sample for testing. 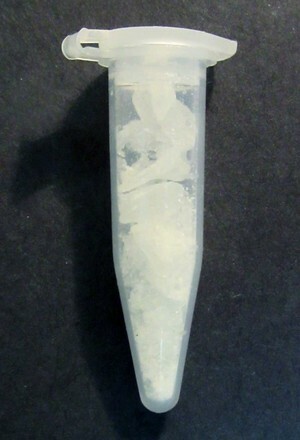 Keep in mind that just enough to *half* fill a capsule is more than enough for several analyses. There is no advantage to sending more material.